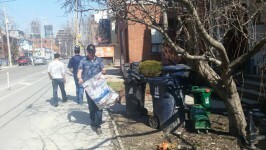 On April 17th members of IATSE Local 58 took part in the City of Toronto Clean Toronto 20 Minute Makeover. 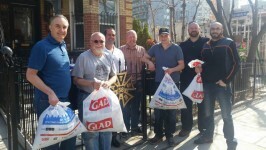 On Friday September 25th the Young Workers Committee of Local 58 held their 2nd annual Charity BBQ. This year all the proceeds went to help the Actors Fund of Canada. Interested in hiring IATSE Local 58? IATSE Local 58 has been supplying the Greater Toronto Area with skilled technicians for over 100 years. If you are looking to hire the best technicians with the most experience, you are in the right place. Why choose IATSE Local 58 for your labour needs? 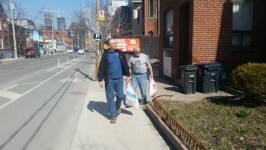 To hire IATSE Local 58 contact our Local 58 business agent by e-mail or telephone at (416) 364-5565.